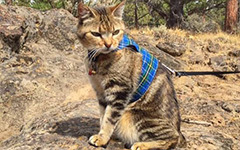 Made for the adventurous kitty who loves to go outside. 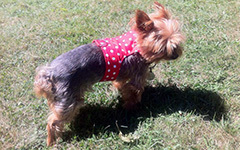 Small dogs love to look their best as you take them for a walk. Need a jacket for a special occasion? We can help! Online shopping will be available here soon. For now please email us. If you would like to be kept informed of new items or specials, sign up for our newsletter here. 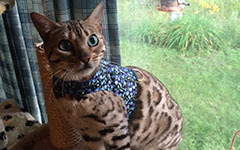 If you would like to see your pets in their jackets on our site, please click here and fill in the form.